I am a sandwich lover as they are easy to eat, convenient and healthy. 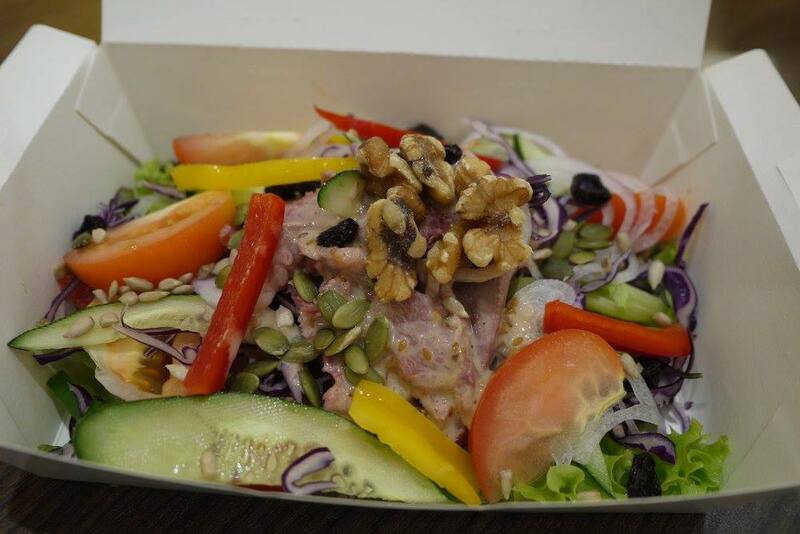 From fresh salads, home made breads and ingredient of your choice, Sandwich Express has it all for you. Are you sick of brand 'S' sandwiches? I have found another great alternative month ago. 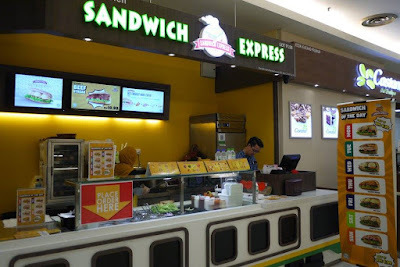 Sandwich Express was founded in Ipoh, and it has expended it's business to KL recently. 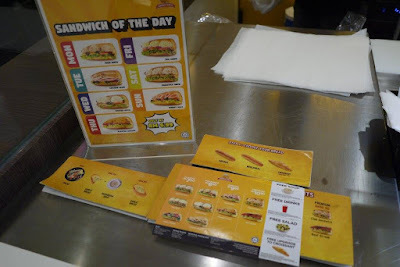 We have paid a visit to Sandwich Express at Sunway Pyramid as introduced by a friend. While we reached the kiosk, the lady staff handed us some flyer which looks pretty interesting. There are 4 choices of sandwiches available at Sandwich Express KL. Classic one for RM 7.50, Favourite for RM 8.90, Special for RM 9.90 and Premium for RM 10.90. We have ordered the club sandwich and beef salad sandwich to try out. First of all, their bread is really huge and fresh. 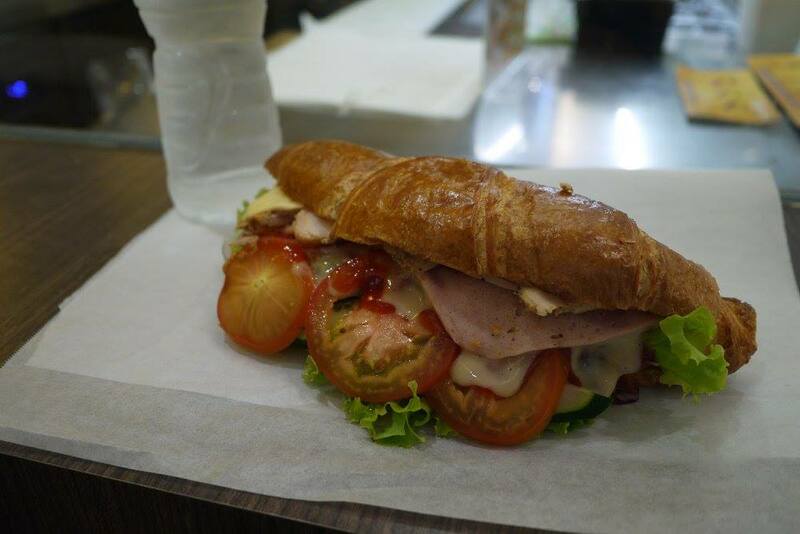 We love our big sandwich that is filled with cheesey cheese, fresh vegetables, tasty meats and delicious sauces. We thought we could share the sandwich with our bestie as a small eater. Besides, we also love that they have a salad version of sandwich for non carbohydrate lover. A bowl of fresh salad sandwich made of vegetables, cheese, meats and healthy sauces is no doubt a best sandwich ever. Sandwich Express is available at KLCC Rasa Food Arena, Level 1 Sunway Pyramid and AEON Mall Klebang Ipoh. This looks healthy and delicious girl. Yummy! Looks delicious, especially sandwiches are one of my favorite. I probably pay pyramid outlet a visit since I'm always there. i love this sandwich stall! its way better than Subway!